Product #60504 | SKU 8-ANV C-SUNHOOD | 0.0 (no ratings yet) Thanks for your rating! It can be connected with the cage closely to prevent glare, and maintain image contrast under bright sunlight. A deposit of $5.00 is required for this pre-order. 8Sinn Sunhood for Atomos Shinobi/Ninja V Cage is a form-fitted sunhood for Atomos Shinobi/Ninja V Cage. The hook-and-loop straps are easy to assemble and disassemble. 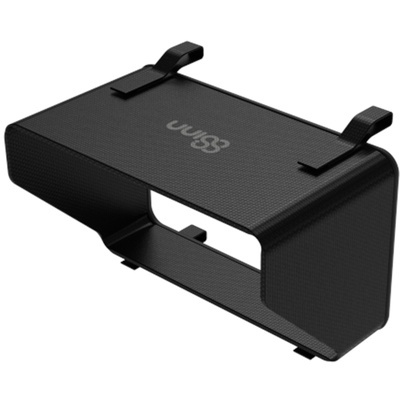 It can be connected with the cage closely to prevent glare, and maintain image contrast under bright sunlight.